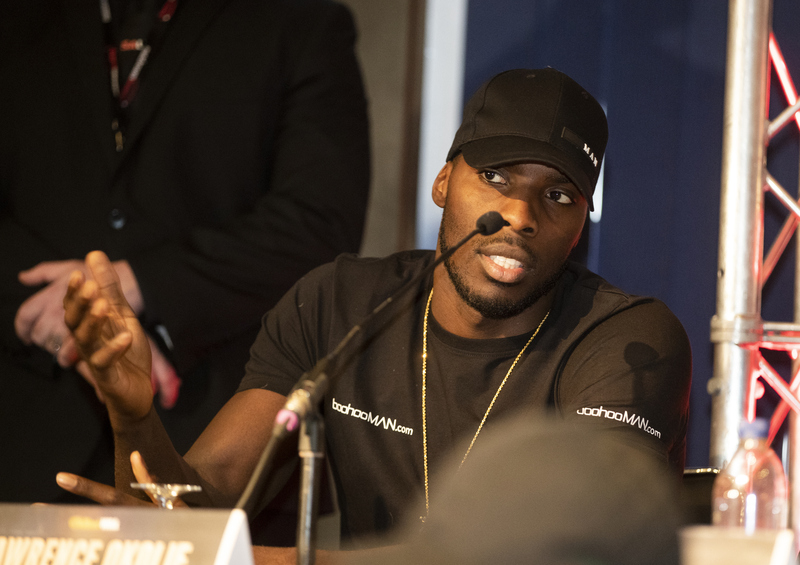 Unbeaten cruiserweight prospect Lawrence Okolie (10-0-7KO) will make his first outing of the year this year at the weekend at the 02 Arena fighting on the undercard of Ted Cheeseman vs Sergio Garcia. Since turning pro in 2007 Okolie has made quick progress in the pro ranks and is already looking at some big fights before the year is out. “It’s amazing to be on a card with so many great fighters. For me now it’s all about putting into practice what I do in training in fights. I need to be a bit more relaxed and be myself more in fights. I need to progress fight by fight. This weekend’s boxing will be shown live on DAZN in the US and on Sky Sports in the UK and Ireland. Photo credit: Mark Robinson/Matchroom Boxing.